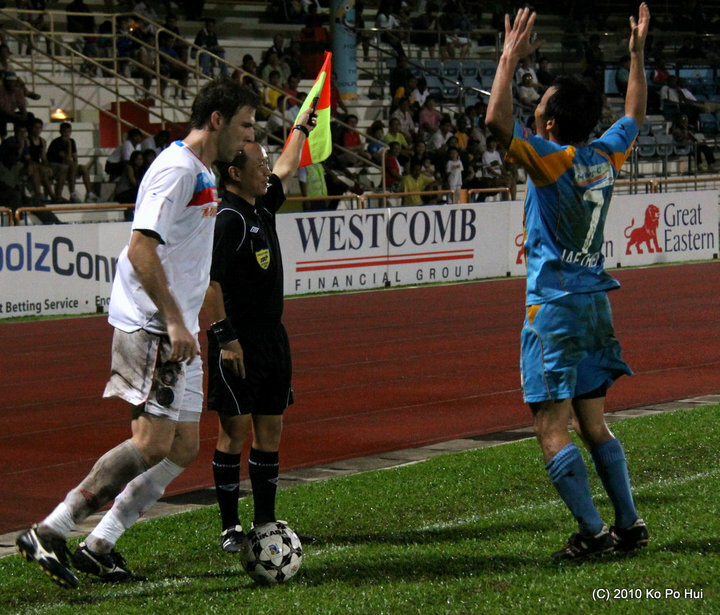 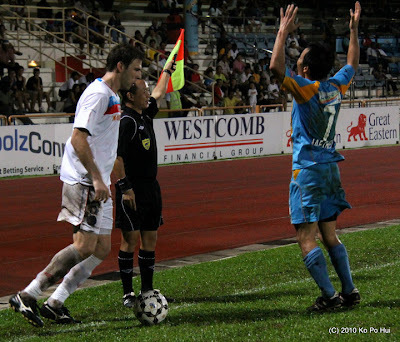 (Pictured above) Sengkang's new signing An Jae Cheul (no 7) reacted candidly after a smiling assistant referee Amos Lim ruled the ball in favour for Ivan Lovric's SAFFC after a tussle near the line. 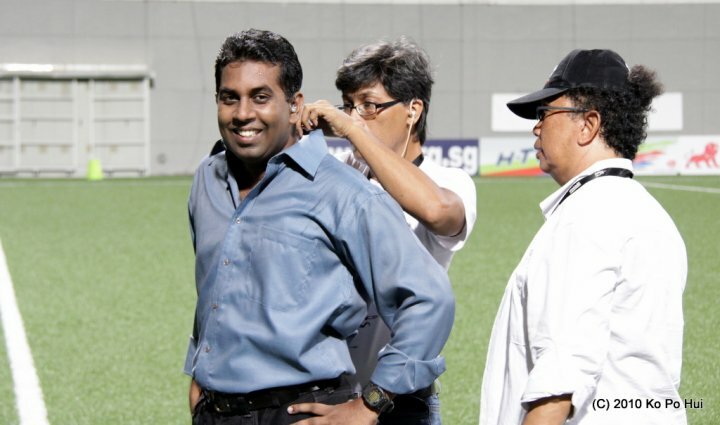 The "Rajman" - Raj Kumar, editor of the 938LIVE Sports Team, getting ready before go on air before the start of the Singapore Cup tie between Gombak United and South Melbourne. 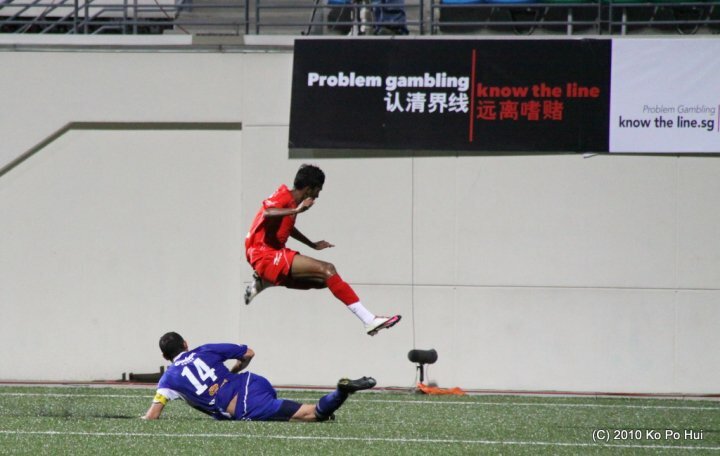 Nice leap by this Gombak player as he evaded the challenge from this grounded South Melbourne player, but it was the banner at the background captured more of the attention. 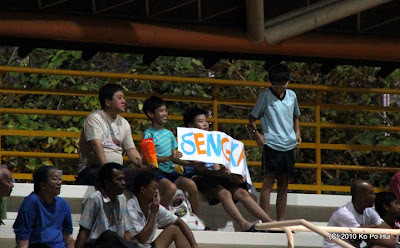 Despite not doing well in the league after their fine showing in the League Cup, these boys still have their faith behind the beleaguered Sengkang Punggol. 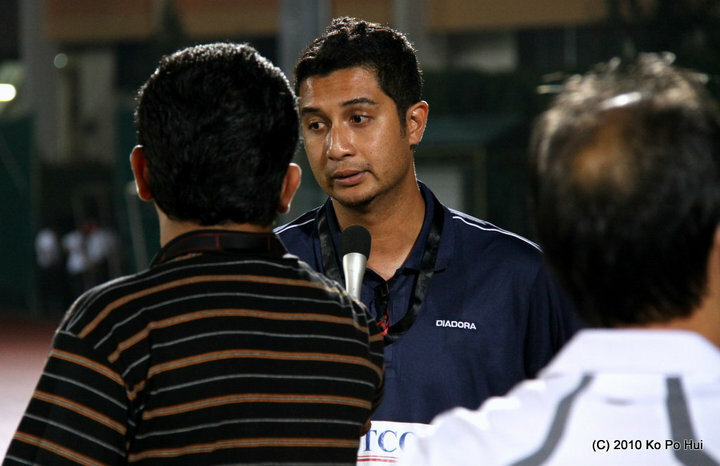 Sengkang's coach, Aide Iskandar put on a brave front facing the camera after another defeat at home.